Knowing the value of your property is important when it’s time to sell your house, when you pay taxes and if you are trying to take a mortgage out on it. When you are buying a house knowing what the appraised value is, versus what the seller is asking, is also an important component to make an offer on the property. Even though there are many subjective parts of the appraisal, the process itself is straightforward and clear. An appraiser comes to the owners home and inspects it for, what they feel, make it valuable. This is where the subjective nature of an appraisal comes in. The owner may personally like the convenience of window air conditioning units, but the appraiser will be deducting value because there isn’t central heat and air. If you live in an area such as Greater Grand Rapids, having central heating and air conditioning is more valuable than some parts of the country with hotter climates. 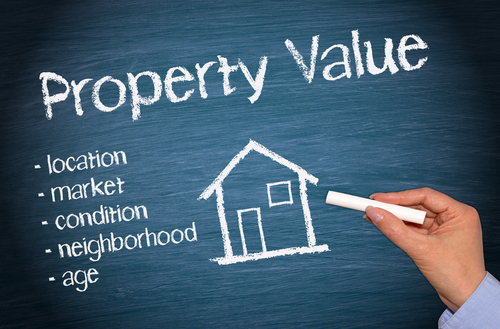 Market desires play a big part in home values and can make a huge impact on an appraisal. The appraiser will look at the age of the home and how it was made. The heating/air conditioning, plumbing, wiring will also come under inspection as will the aesthetics of the home. Features, such as number and size of bathrooms and closets will also be a factor in determining the home’s value. The presence or absence of a garage, attic and basement will also determine the value of your home.